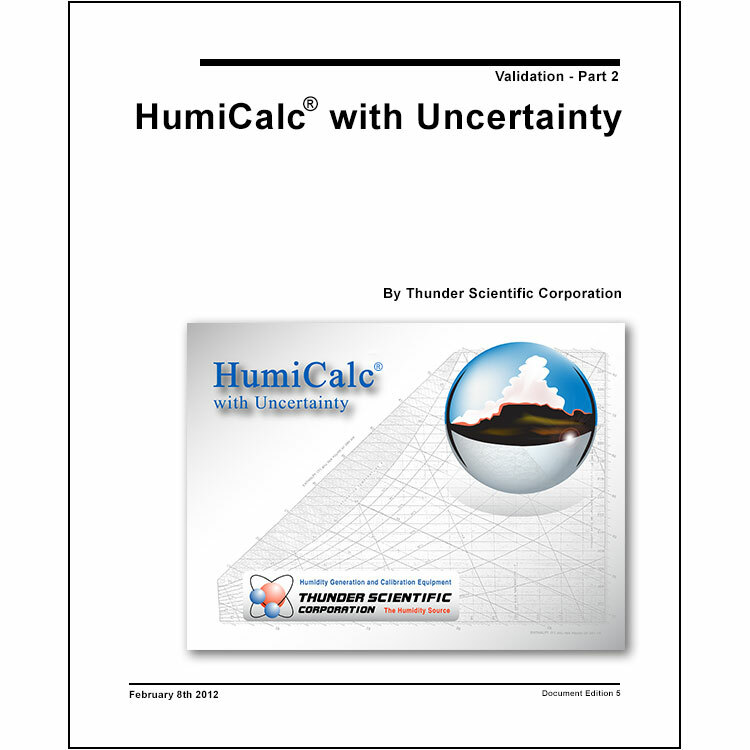 The HumiCalc with Uncertainty Validation document is a series of documents used to confirm that the HumiCalc with Uncertainty application complies with its requirements and specifications. The validation contains around 1,800 pages of test cases composed of detailed mathematical calculations for the core conversion, derivative uncertainty and unit calculations. The document requires Adobe® Acrobat® Reader or equivalent PDF reader. Copyright © Thunder Scientific Corporation. All Rights Reserved.